The Red Cross, worldwide, operates on the foundation of seven fundamental principles: humanity, impartiality, neutrality, independence, voluntary service, unity and universality. While each of the seven has an important point to make, one central theme lies at the heart of all of them — the Red Cross is committed to providing its services to all who need them, regardless of age, race, gender, nationality, financial status or sexual preference. Disasters can befall anyone, and the Red Cross is pledged to assist disaster victims, no matter who they, what they are or where they are. 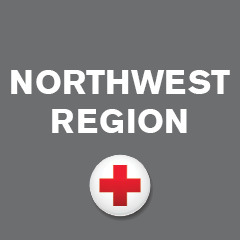 It is that theme of inclusiveness — diverse teams of volunteers aiding diverse victims of disasters — that has brought Cheryl Nuñez to be board chair of the Kitsap and Olympic Peninsulas Chapter of the Red Cross’s Northwest Region. Nuñez has spent a long and impressive career turning diverse groups of individuals into strong and inclusive communities. She joined the board of the KOP chapter last August — a very neat fit with her academic job since the more the Red Cross can forge a coherent volunteer community out of many diverse elements, the better equipped it is to carry out its mission of helping victims of disasters. And of course, that theme of inclusion fits very nicely with those fundamental Red Cross principles. Kamasz says it was Nuñez’s commitment to inclusion and community-building, along with her enthusiasm and high energy level, that made her the ideal candidate for the KOP board. After graduating from Harvard University in 1981 (with a degree in English and American literature and language), her career has been marked by a succession of jobs focused on diversity and affirmative action. From 1995 to 2005, she was Director of Affirmative Action and Multicultural Affairs for Northern Kentucky University In Highland Heights, KY and from 2005 to 2015, she was Chief Diversity Officer and assistant to the President for Diversity and Equity at Xavier University in Cincinnati. She came to Olympic College in 2015. Beyond those positions, she has served on the diversity advisory board of Gallaudet University in Washington, DC, was a member of the Race and Equity Task Force of the Strive Partnership in Greater Cincinnati, and a member of the Cincinnati Red Cross Diversity and Inclusion Committee. She followed her mother as a Red Cross volunteer and served as a trustee of the Cincinnati chapter from 1998 to 2003. What Nuñez hopes to bring to the Red Cross is access to a large pool of potential volunteers —the 13,000 students who attend one of Olympic College’s three campuses (Bremerton, Poulsbo and Shelton WA). “Our students represent the talented, diverse volunteers the Red Cross is trying to attract,” she says. She is encouraging the college’s Service Club to add Red Cross training to the activities it offers students. And Nuñez adds, “I tell students that when they add Red Cross to their resumes, they are adding a reference that is internationally recognized.” That should be no small selling point to young people who are seeking to differentiate themselves in today’s intensely competitive job market.